No. 8, Lorong Industri Sungai Lokan 1, Taman Industri Sungai Lokan, 13800 Sungai Lokan, Penang, Malaysia. 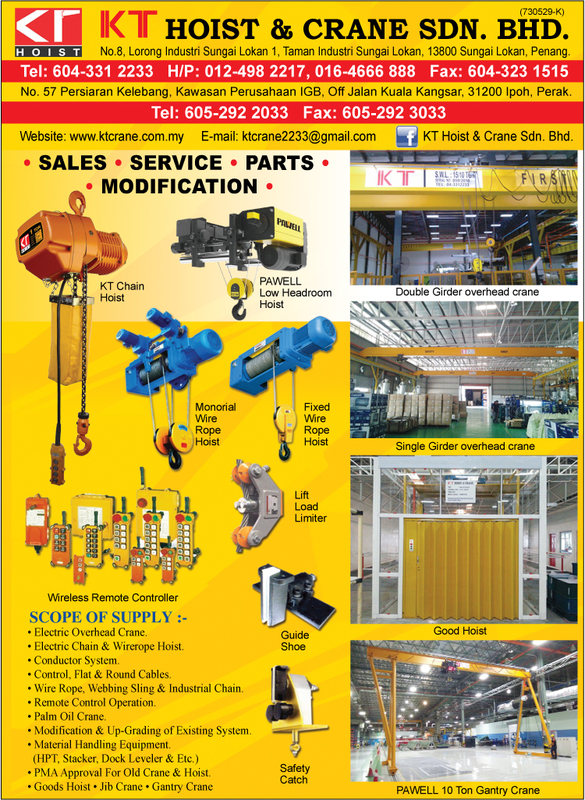 KT HOIST & CRANE SDN. BHD. was established in 1999 and we specialised in supplying of various type of electric overhead crane. We also provide services of repairing, up-grading, modification, rewiring and supplying of spare parts and service for various model of hoist and crane. Our projects are not only in Malaysia but stretch all the way to our neighbouring country.